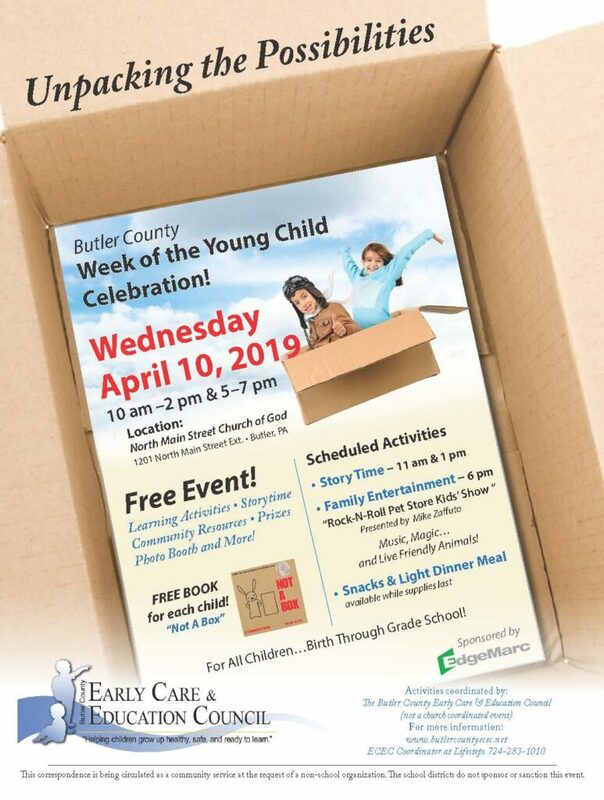 The Week of the Young Child is held every April at a variety of times and Butler-based locations to accommodate parents’ busy schedules. 2019’s Week of the Young Child features prizes, crafts, learning activities, and community resources. Every child will receive a free copy of “Not A Box” (while supplies last). Click here for more information about 2019’s activities, or call the Butler County Early Care and Education Council coordinator at 724-283-1010 ex. 310.